One location, two types of accommodation! 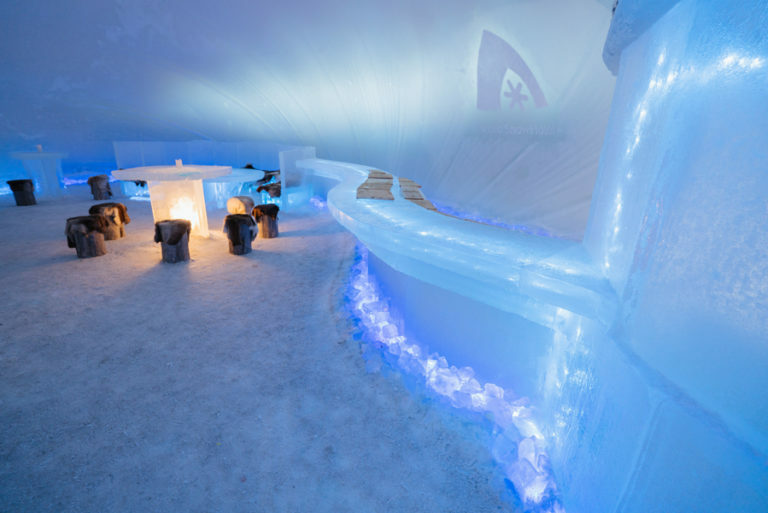 Either spend the night in a beautiful glass-roofed igloo or within the Snowhotel. One location, two types of accommodation! 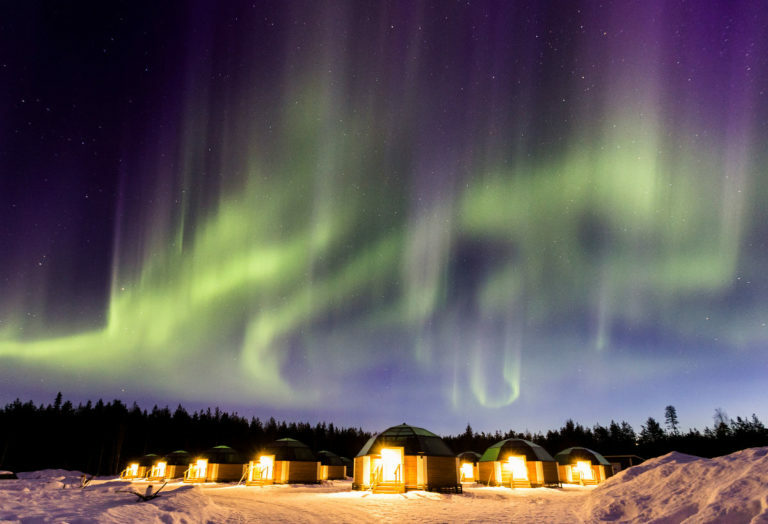 Make the most of your Northern Lights holidays here in the heart of the Finnish Lapland of Rovaniemi and either spend the night in a beautiful glass-roofed igloo or in a beautifully carved snow room within the Snowhotel. 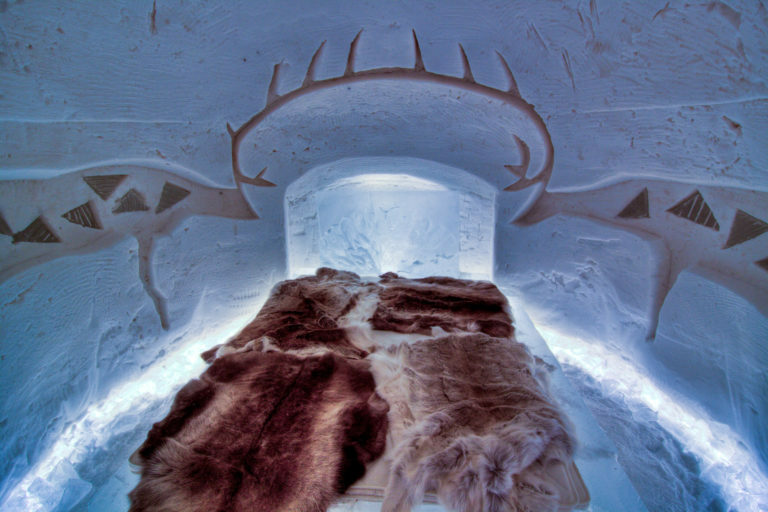 Should you decide to stay in the Snowhotel (available from December-March) you will spend the night in a polar explorer sleeping bag on top of a reindeer skin in a room made of ice with beautiful carving and soft-LED lighting. There are double, triple and family rooms available and there is also a selection of suites which are uniquely different from each other. 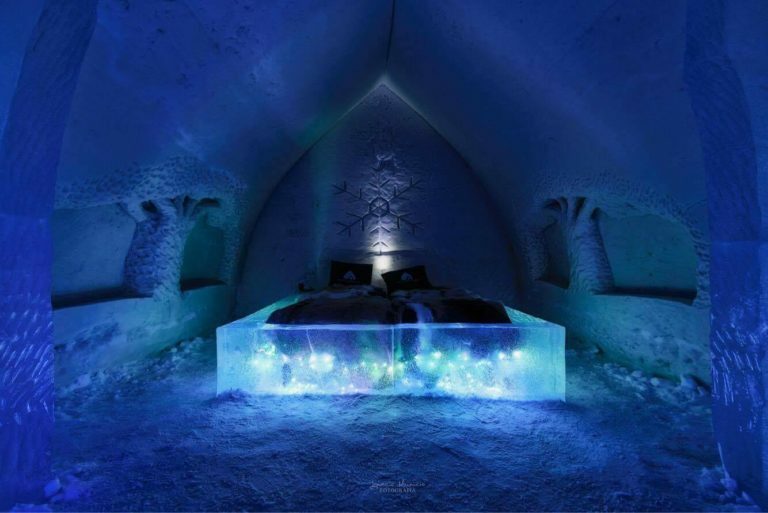 Alternatively you can choose to stay in one of the beautiful igloos (available between Nov-March with some limited availability Sept-Nov) either for 2 or 4 people equipped with comfortable beds, ensuite bathrooms and a heated room to prevent the snow and ice from interrupting your view towards the skies. Wherever you choose to rest your head you have the choice of 3 restaurants, an amazing outdoor hot tub and a variety of activities to choose from! 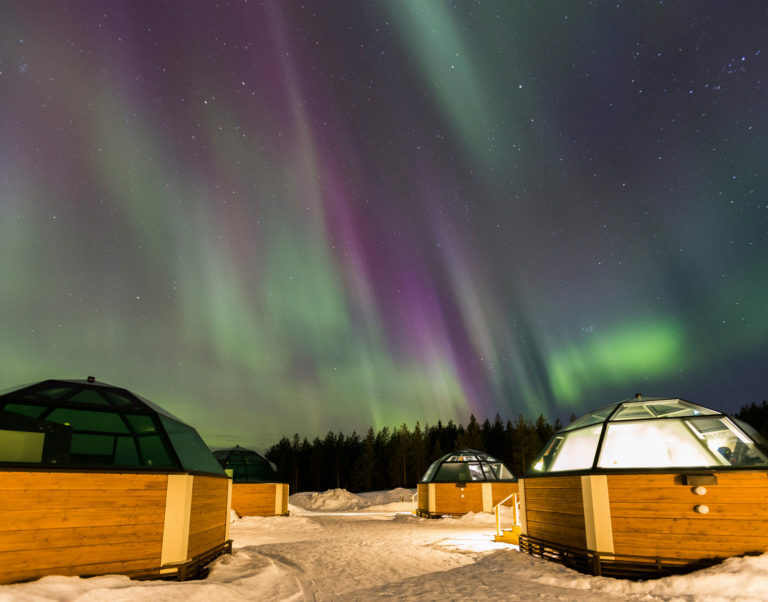 An amazing ‘must-do’ experience to try is the Finnish Snow Sauna – the only one in the world!